Any garment cleaned and pressed $2.75 with coupon (excludes leather and formal) our regular price is $3.00 no limit. For more information on our pricing, please visit our pricing page. Our Dry Cleaners are Open on Sunday for your Convenience! UPDATE: As of 01/01/2019, our pricing is $3.00 for standard garments. For years, Bronco Cleaners have worked hard to bring you very reasonable prices for quality dry cleaning. We will continue to make this effort, however, the increase from $2.75 to $3.00 is necessary to enable us to continue to provide quality dry cleaning services such as complimentary same day service (Monday-Saturday). 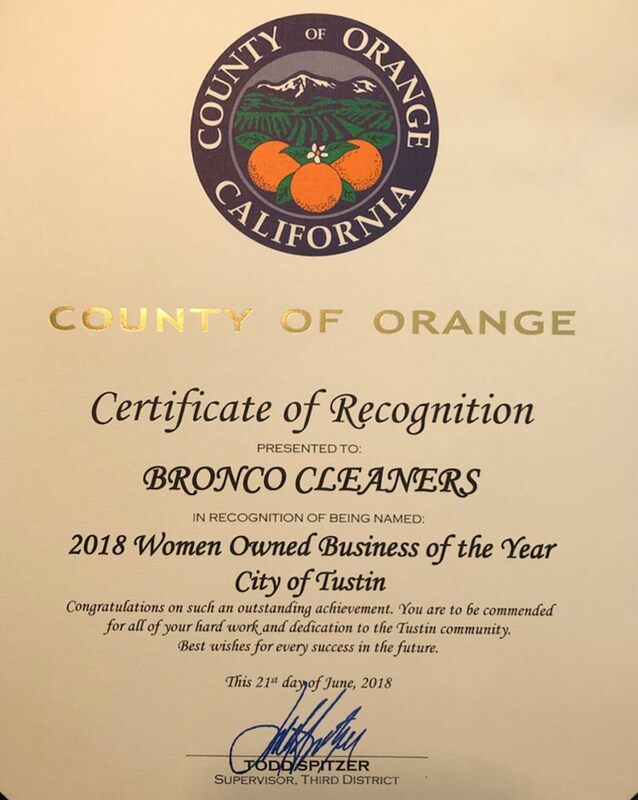 Even with the price increase, Bronco Cleaners remains among one of the most affordable dry cleaners in Orange County. We hope you feel this is still a great value and we appreciate your support. 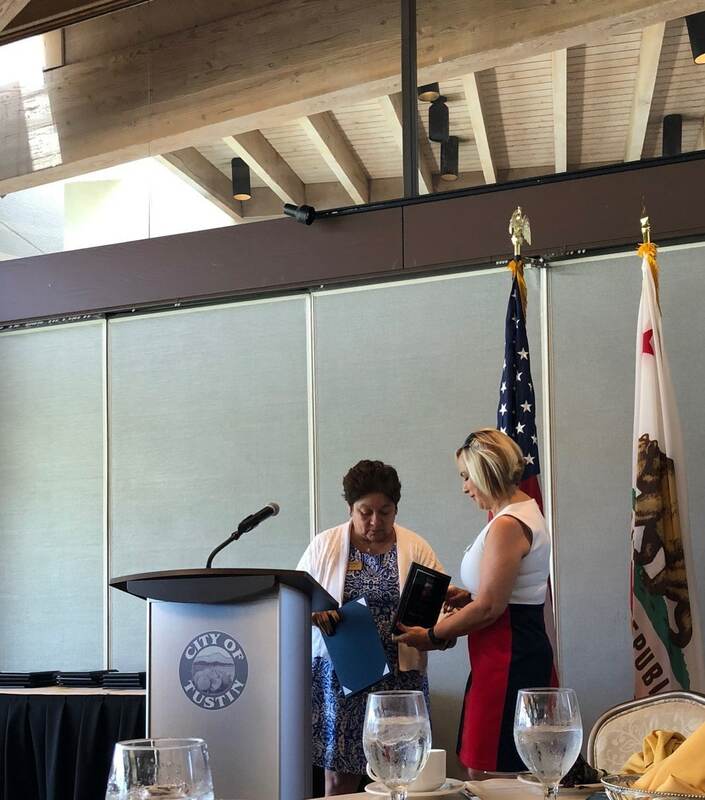 We are happy to be awarded with the 2018 Women Owned Business of the Year for the City of Tustin. Thank you from the support of our great community! Customer service is not a “department” it’s an “attitude”. This puts us another step ahead of our competition. We are discount dry cleaners based in the cities of Tustin and Orange. Check out our dry cleaning services, coupons, and locations or contact us.